Get a good start on a lifetime of safe, successful days in our amazing PNW trails with this free two-hour, information-packed evening seminar to help you find hikes and hiking companions, choose gear, hike safely and be a good trail citizen. Open to Mountaineers members and guests! 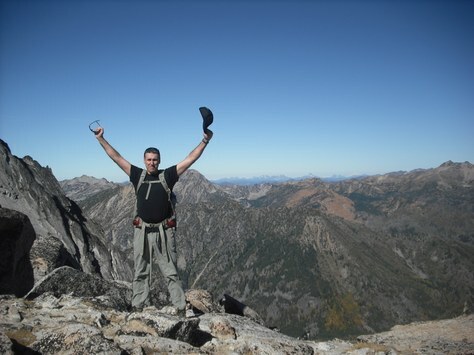 There's still room in this free and informative two-hour evening seminar, designed for brand new hikers and for people who have hiked before but want an introduction to safe hiking in our major Pacific Northwest hiking areas. The seminar will help you find hikes that suit your interests and capabilities, understand common trail hazards, prepare for hikes with the right gear and clothing, and practice Leave-No-Trace and good trail etiquette so that you protecting our trails and wild places. We'll also provide useful information on permits, where to buy essential gear on a budget, and other valuable resources. During the seminar we'll also introduce participants to the Mountaineers and show them how to find and register for one of our many hikes and skills classes in the area, led or taught by our amazing volunteers! Spread the word to your friends and colleagues! You can attend as a Mountaineers guest by going to the Membership Tab and joining the club as a guest (for free). We hope to see you there!